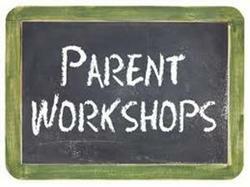 Our new Family Support Worker is currently putting together a programme of workshops. As soon as the programme is confirmed, dates will be sent out to parents and carers. Our subject leaders often offer workshops too. This term there have been mathematics workshops. The slides will be available shortly for anyone who missed these sessions. If you have any ideas for workshops you’d like to see in school, please let us know.